Cryptocurrency enthusiasts got hit last year in September after South Korea decided to ban Initial Coin Offerings. It was an unexpected move from one of the countries which had an intense activity in the cryptocurrency market. At the beginning of this year, the Financial Services Commission had enforced a ban on all anonymous cryptocurrency trading and imposed to crypto exchanges and the banks working with them the use of real-name trading accounts. However, as the time passed and since today, May 8th 2018 the Financial Supervisory Service (FSS) will have a new governor, the situation looks like it will change for the better, as ccn.com had been recently reporting. Yoon Suk-heun had already been approved by the president of South Korea – Moon Jae-in, and he is seen by a series of analysts as a reform-oriented person. Since the move that banned anonymous trading did not reach its goal and instead discouraged the overall trading activity, according to Korea Times. However, the new chief of FSS declined to give in-depth details related to the move he will initiate in the future, keeping the uncertainty alive. 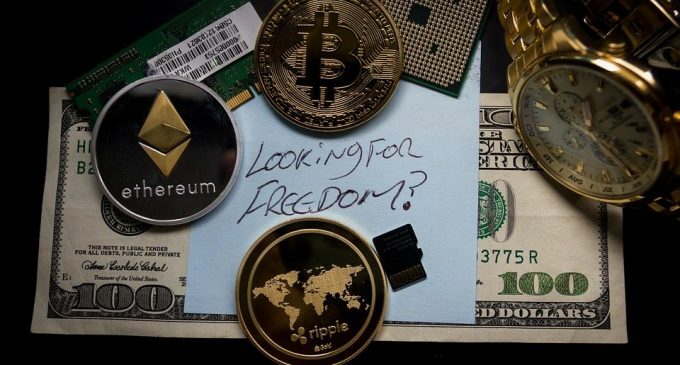 Cryptocurrencies had been pressured by regulatory fears in 2018, and there were a lot of news that raised fears among investors. We talked about Ethereum and regulatory scrutiny in a previous article. Overall, the cryptocurrency market cap in on the way up for the past month, showing that there is still interest to buy. Getting back to South Korea, although no actual step had been reported, the new FSS chief wants to collaborate with the other financial agencies in order to ensure a better regulatory framework for cryptocurrencies. His aim is to make digital assets more accessible. There are also reports which show that South Korean lawmakers are working on a bill which will aim to legalize Initial Coin Offerings. That should be done via a supervision made by the Financial Services Commission and the Financial Supervisory Service, the main financial watchdogs of South Korea. We are moving towards a world where cryptocurrencies will be regulated and that could mean an increase in investment amounts from the big financial companies. We’ve seen that from Goldman Sachs, one of the biggest investment banks, which aims to open a Bitcoin trading operation, as there is demand for Bitcoin-related instruments. Big players want to operate in safe environments, so the odds of regulation implementation are increasingly higher.